Designed to eliminate the extra step of finishing the screen with trim, the 220V 24706EBLS Tensioned Advantage Electrol 54 x 96" Ceiling-Recessed Motorized Screen from Da-Lite is designed with ceiling trim already in place. Once the screen is installed, the screen's trim conceals the rough opening eliminating the need to complete additional trim work. 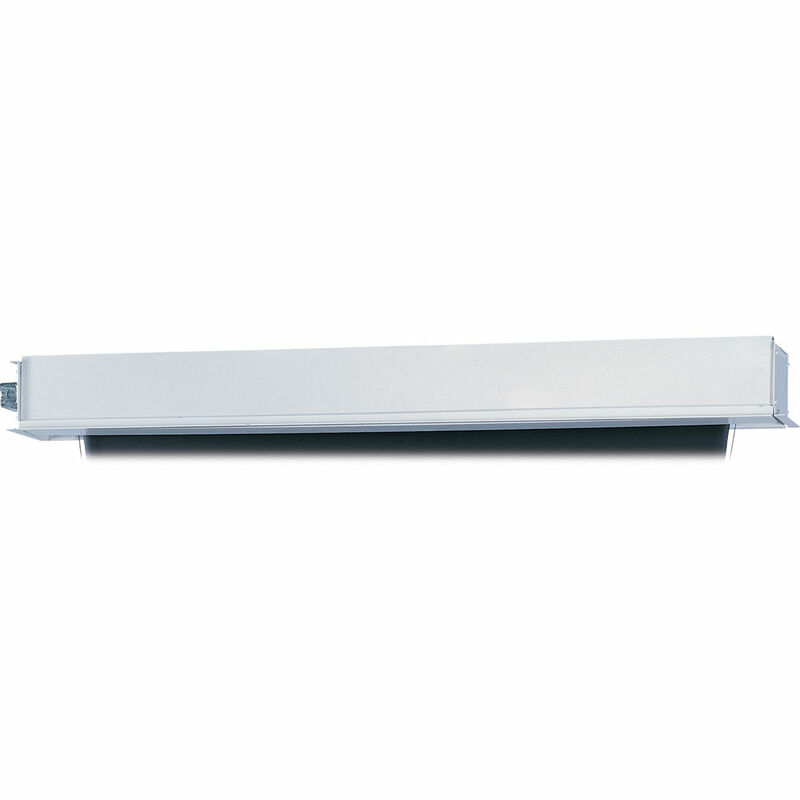 Sliding installation brackets are included to make it easy to attach the screen housing to the structure above the drop ceiling. Note: This box is part of a system. To complete the system you will also require the fabric, roller, and motor assembly. Purchasing the box first allows the box to be installed during the "rough-in" phase of construction. The screen and other components can then be installed once construction is complete. Please be sure to select the fabric, roller, and motor assembly with the exact size and features as designated by this box. The fabric, roller, and motor that goes with this model number is: 24706EFLS.